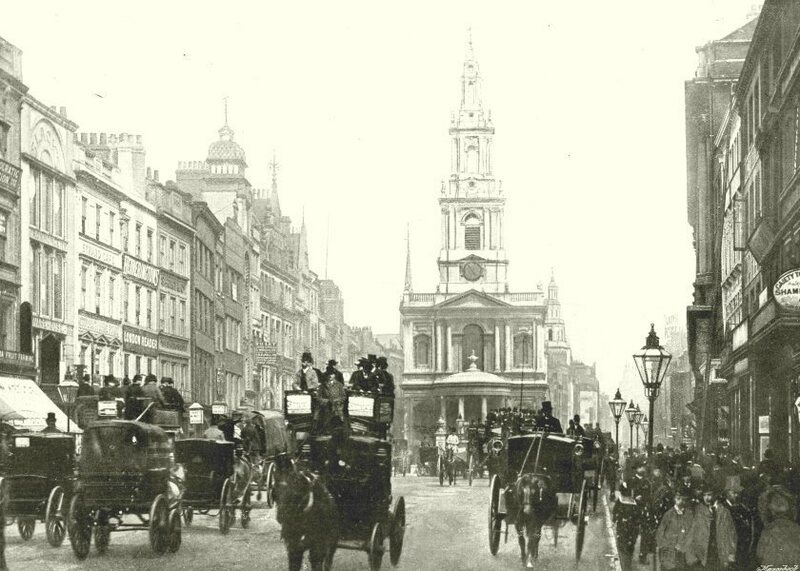 St Mary-le-Strand is the church that appears to be stuck in the middle of the road near Kings college and Somerset House. In fact, it’s been referred to as St Mary-in-the-way. This place of worship was designed by the architect James Gibbs and was one of fifty churches ordered to be built during the reign of Queen Anne. The first stone was laid by Gibbs on the 25th February, 1714 and the whole thing was completed in three and a half years. But it was only consecrated for use by worshippers on the 1st January, 1723. St Mary-le-Strand – killer church! Nobody doubted the skill and craft of Gibbs’ work and it stood proud throughout the eighteenth century. But then in 1802, crowds had gathered in the Strand to celebrate peace between France and Britain agreed at the Treaty of Amiens – after a long period of war between the two countries. A man stood on the roof of the church and leaned on one of the many stone urns to watch the heralds marching past announcing the peace treaty. Incredibly, the large urn suddenly fell into the street below. Three young men were killed. One died instantly as the urn fell on his head. Another was so badly wounded that he died on the way to hospital. While the third died two days afterwards. A young woman was also seriously injured and others suffered cuts and bruises. The two hundred pound urn had bounced off the side of the church taking another piece of masonry with it and when it hit the pavement, it buried itself about a foot into the flagstones. The poor man on the roof fainted but was still arrested. However, he was discharged when it was found that Gibbs’ workmen a hundred years before had been a bit shoddy. The urn should have been fixed to the roof by an iron spike but instead there was just a wooden pole. That had rotted away over time and it was no surprise that a killer urn tipped into the street below. Previous Post Londoner executed not once – but twice!